One of the most trusted names in home protection, ADT can integrate a medical alert system into a larger system of fire, smoke and burglar protection. Advantage Alert’s system is unique in that its base unit has two buttons – the usual emergency button, plus a nurse button for situations when you are having a non-life threatening event and just need to talk to a nurse for reassurance. You can also use that button to get answers to basic medical questions. Alert 1 is one of the many medical alert companies that offer basic no-frills protection. That is certainly not a bad thing; it is a solid company that will give you the 24 hours a day, seven days a week monitoring for which you are looking. Alert USA says it “guarantees” the lowest prices in the industry for monthly monitoring. So if controlling costs is important to you, this could be the company to choose. If longevity in serving customers is important to you, then Bay Alarm Medical might be your choice after sifting through the medical alert companies. Bay has been in business for some 65 years, offering quality service at competitive prices. The established pharmacy chain CVS chose Connect America out of all medical alert companies to provide its medical alarm services. So if Connect America is good enough for CVS, it should be good enough for you. Fall Alert has received an A+ rating from the Better Business Bureau and has been chosen as the best medical alert system in the United States. The base unit of the LifeFone system can also act as a speaker phone, so you do not have to get up out of your chair to answer the phone – just press the button on your pendant to activate it. A handy little feature. Lifestation is one of the most popular medical alert companies – it claims its website ranks among the top in searchers of people looking for information about medical alert devices. A leader in the industry, Medical Guardian is at the cutting edge of technology thanks to the fact that it was established in 2005, and thus not tied to the technology of the past. 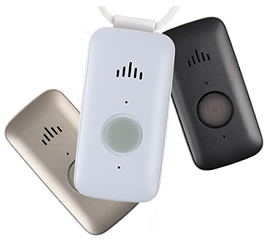 MediPendant offers a feature that very few medical alert companies have – the ability to talk to and hear the monitor directly through the medical alert pendant. No more straining to hear the base unit from another room and no more screaming so the monitor can hear you. MobileHelp says it is the only medical alert company that allows you to use your system away from home. A small mobile unit that you carry with you contains a GPS device that allows a monitor to pinpoint exactly where you are and dispatch the closest ambulance, if that indeed is necessary. It is also the only system that works without a telephone. In addition to being one of the top medical alert companies, Phillips Lifeline offers something that no one else does – fall detection. When your alert pendant detects a fall, a call is automatically placed to the monitoring center. Other companies say the technology is unreliable, but Phillips says it has perfected nearly it. Rescue Alert is set apart from other medical alert companies because it lets people buy their equipment instead of paying a monthly rental fee, which is included in the prices from most other companies.